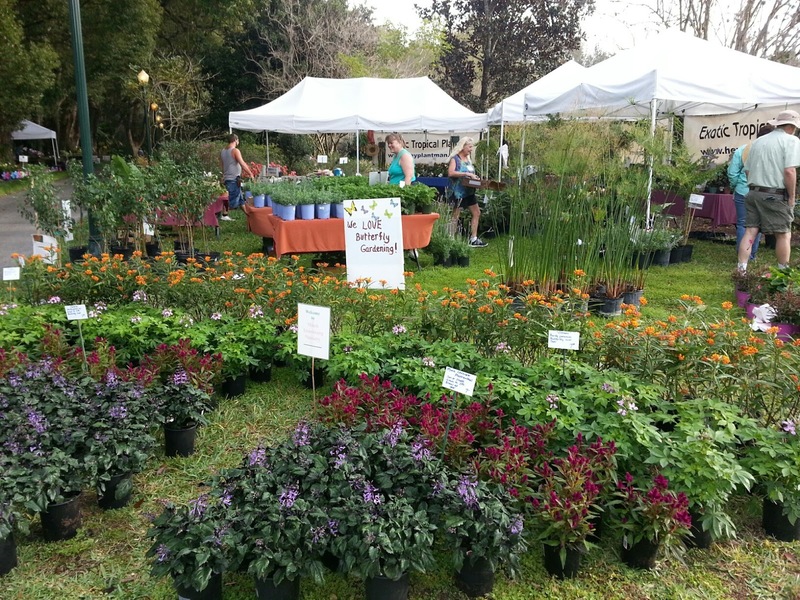 This weekend, we are off to beautiful Leu Gardens in Northwest Orlando for the annual Spring Garden Sale. The sale runs Saturday and Sunday, from 9am to 5pm and it is free entrance fee into the park this weekend, which is quite a savings. Join us, along with a hundred other plant specialty vendors from around the State. As always, we are in a beautiful spot behind the Rose Garden. A pic of our set up day last year is at left. Yes, we have beautiful Hollyhocks, Bougainvillea, Butterfly specimens, Passion Vines, Clerodendron, Rare and Exotic tropical species and much more ! The Garden is an easy one-tank trip from the Tampa Bay area. Check out Leugardens.org for all the info, directions and vendor info. Note: The Saturday Morning Market, downtown St. Pete is closed this weekend, due to the Grand Prix car race. The Market will return to it's usual spot at Al Lang Field on March. 18th. Mitch Armstrong Nursery is a licensed Tropical Plant Nursery with the state of Florida. We do not have a retail location, our "store" is the Sat. Morning Market in St. Pete, FL, Pierce Street Market, Clearwater, and Thrill Hill Market, Old Southeast Market place, Southeast St. Petersburg. Starting in the Spring, we will also be at Botanical Shows locally and around the state. Check our blog often for news of these special events.